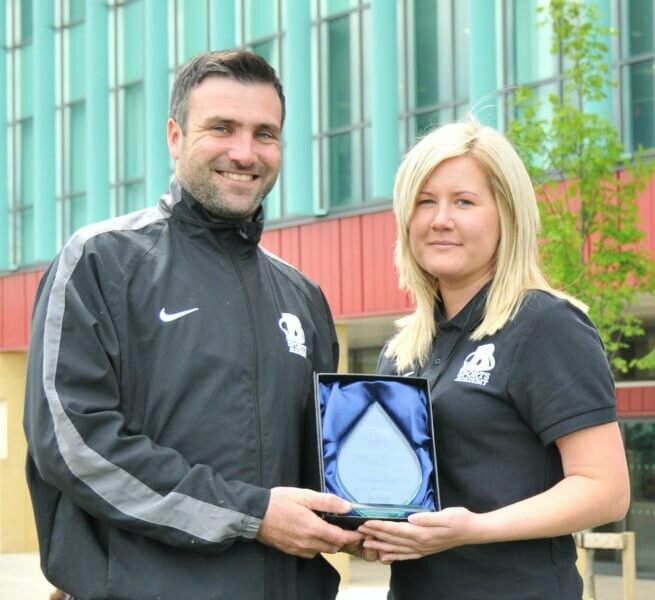 Staff from Barnsley College’s award-winning Sports Academy have passed on some of the secrets of the Academy’s success at a national colleges conference. The college’s Sport Programme Manager Mark Ryan delivered a workshop to other colleges at an Association of Colleges (AoC) Sport in the Curriculum Conference in Loughborough. The key aims of the workshop were to explain the role the Academy plays within college, to provide examples of best practice and to inspire other colleges to implement change in their working practices. Mark said: “The college was asked to deliver the workshop to highlight how being involved in sport can have a positive impact for learners across colleges. “The workshop also pinpointed how the Sports Academy monitors the performance of students and how this information is used to demonstrate the Academy’s impact to senior college managers. Barnsley College received the accolade of Regional College of the Year from the British Colleges Sport in 2013 and was runner-up in the National College of the Year category in the same year. The Sports Academy includes specialist cricket, football, individual athlete, netball, rugby and refereeing academies which are open to students on any study programme.